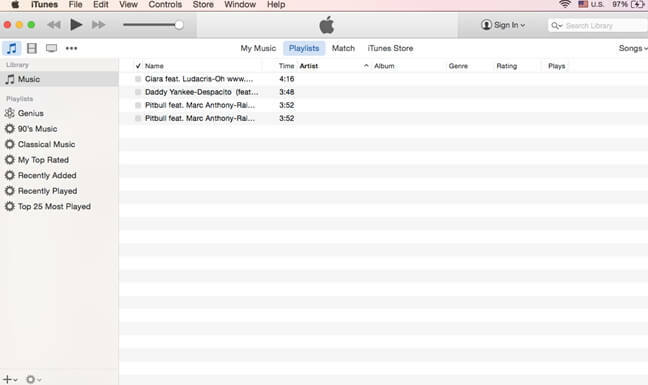 I have iTunes 12.5.3.17 on OSX 10.11.6 and I have added a bunch of MP3 files by dragging them onto the iTunes window. iTunes refuses to play them. It shows the triangle button, I press it, the icon goes away, and the file does not play. At times you have the right version of iTunes but the MP3 files can’t play. 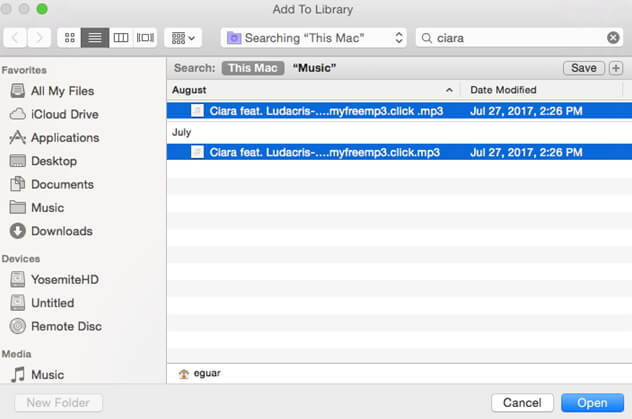 The situation may be persistent even when you remove and add the MP3 files to iTunes library. However, you will notice that these MP3 files play well if you upload them to media players like VLC or QuickTime. Hence, it's not due to the audio format compatibility as iTunes-supported formats include MP3, M4A, AAC, WAV and AIFF. So what's the problem? How to fix iTunes can't play MP3 issue? There're various possible reasons causing iTunes play MP3 failure and the main reasons are listed as below. You may have updated your iTunes incorrectly thus failing to play files. There could be some technical issues with your iTunes and you may opt restarting it. Your MP3 files may not be labeled well and you could consider removing them from your playlist and fixing its metadata. Nonetheless, you can keep reading this article as we have found 2 simple solutions to convert MP3 to iTunes as well as rightly import MP3 to iTunes for playing. Is there a free way to fix the issue of iTunes not playing MP3? Oh yes, with Mac inbuilt QuickTime player you'll be able to convert the MP3 file to iTunes compatible format. This may sound impossible but we have made it clear for you by providing a step-by-step tutorial. Step 1. 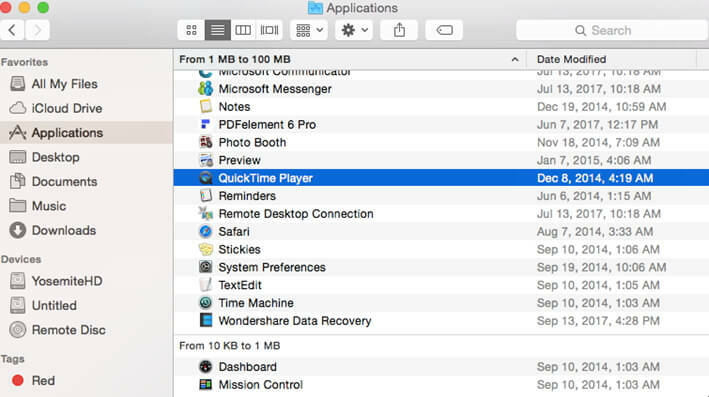 Go to your Finder and search for QuickTime player under Applications and open it. You can also use Spotlight to search for the files. Step 2. 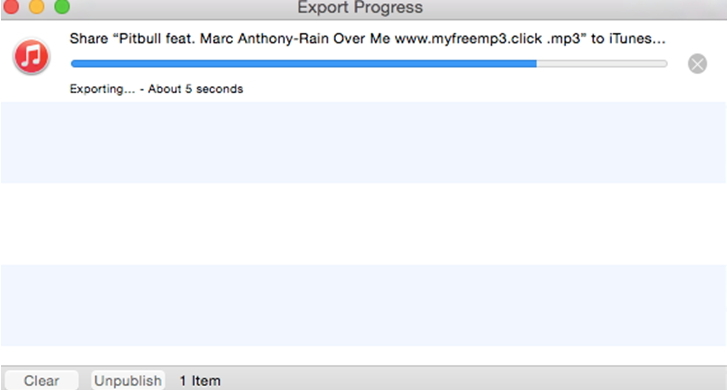 Next, you need to open the MP3 file with QuickTime player. You can either drag or drop it to the payer or click on File and select Open File button to choose the MP3 file. Step 3. From there, go to File menu and click on Export and select iTunes option. 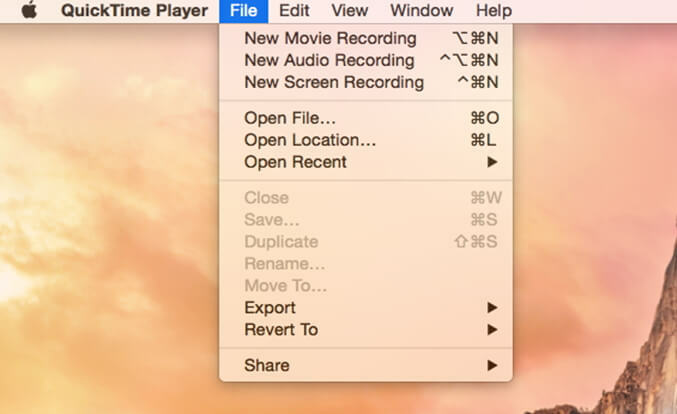 Note: For older versions of QuickTime player you will have to click on Save As option. Step 4. The exporting progress will begin immediately on a pop up window as the one below. Bravo! You can now go to iTunes and play your MP3 file. You may have tried converting MP3 to iTunes and you are impressed, but imagine a situation that you have a playlist of MP3 music or several files to convert. That is so tedious since you will have to handle each file single handedly. With that being said, we are now going to introduce you a professional way allowing you to quick convert MP3 to iTunes effortlessly. Wondershare UniConverter (originally Wondershare Video Converter Ultimate) enables you to convert video/audio files in batch to Android devices, iTunes library, iOS devices, Game Consoles and also to popular social sharing sites. You'll be able to convert lossy format like MP3 to lossless formats like FLAC and other lossy formats without quality loss. Other than that, you can manage and organize your media library, fix and rebuild your iTunes library. What you need to know Wondershare Video Ultimate Converter is that, it can convert file to over 1000 formats. So when you are sure of the file format iTunes is compatible with you can pick on easily. Audio formats supported by iTunes include M4A, MP3 and AAC. Now follow these steps. 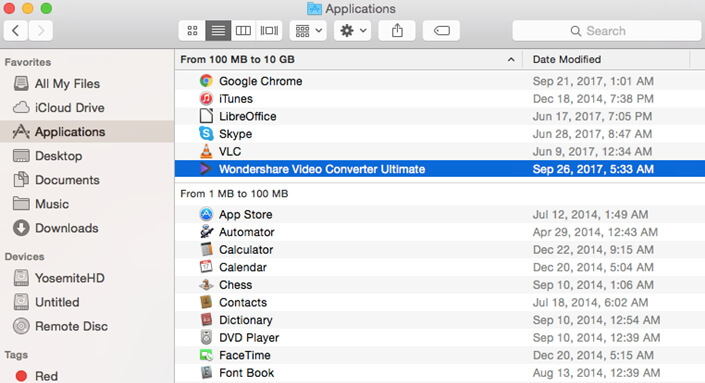 On your Mac, go to Applications and double click on Wondershare UniConverter (originally Wondershare Video Converter Ultimate) software. Next, you will have to upload your MP3 file or files to the program. Click Convert section in the top and click at the top left. Similarly, you can also directly drag and drop them to the mid of the screen. On your computer, select and open the MP3 file with the program. 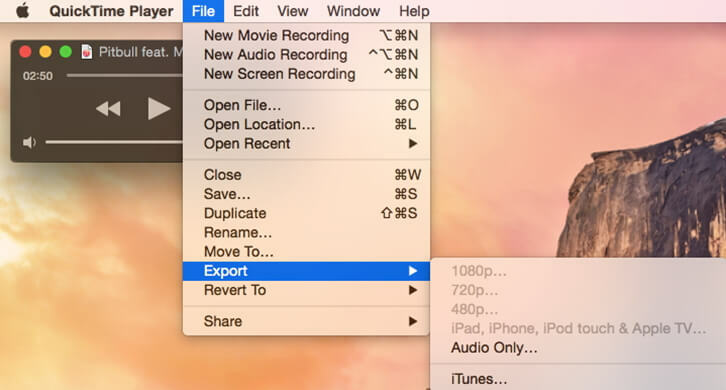 After uploading your desired MP3 files, click on Convert all tasks to: to get output options. Click on Audio and select iTunes supported format like AAC option. Select on audio quality or you can customize by clicking on + Create Custom and move to the final step. Note: You can change the location of the converted file under Output option located in the bottom of the window. You are almost there. Once you have done your settings well, you can then click on Convert All button in the lower right corner. The conversion will begin immediately and you can open the file once it is converted. At this point you may have downloaded and converted YouTube Videos to MP3 ready to play them on iTunes but you don’t know how to add them. Don’t worry. Here is a simple guide on how to add MP3 to iTunes. Step 1. 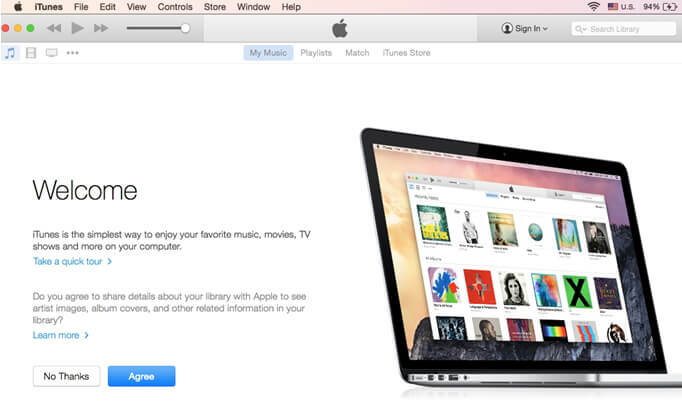 Begin by opening iTunes app on your computer. Step 2. Next, go to File and click on Add to Library button. 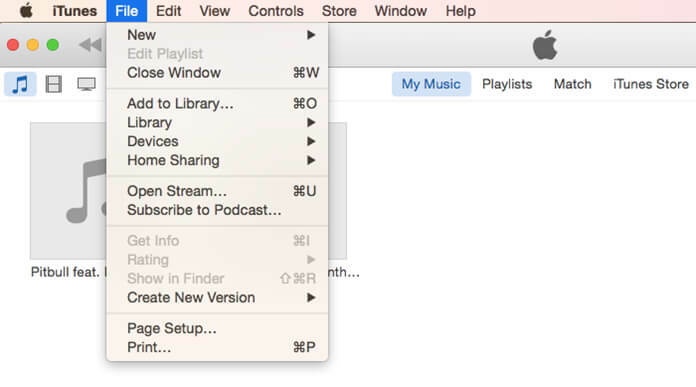 Tip: If you have created a playlist, click on Library and select Import Playlist option. Step 3. Now, select on the MP3 files that you want to add and click on Open button. Step 4. Lastly, click on Playlist and organize your MP3 files. By now, you can fix the issue of MP3 files not playing as well as importing files to iTunes.